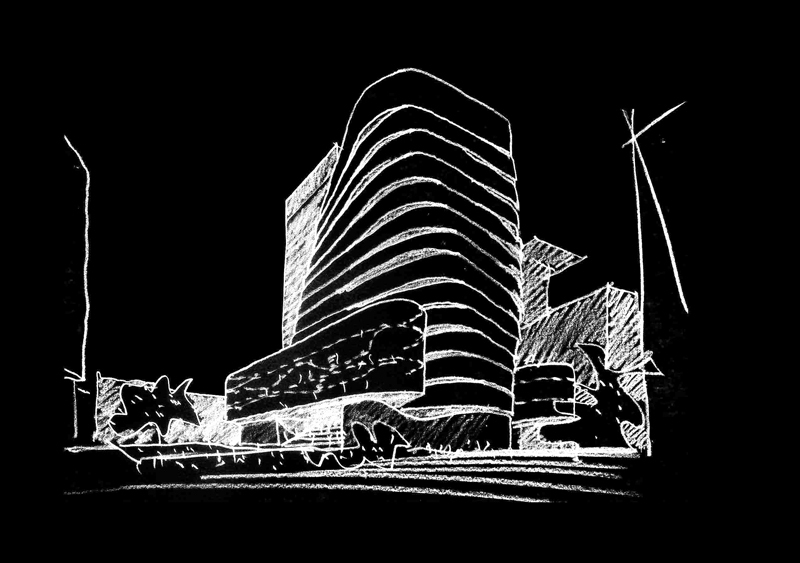 For this landmark site we have developed a sinuous architectural form and bold interpretation of the UTS's values and vision. 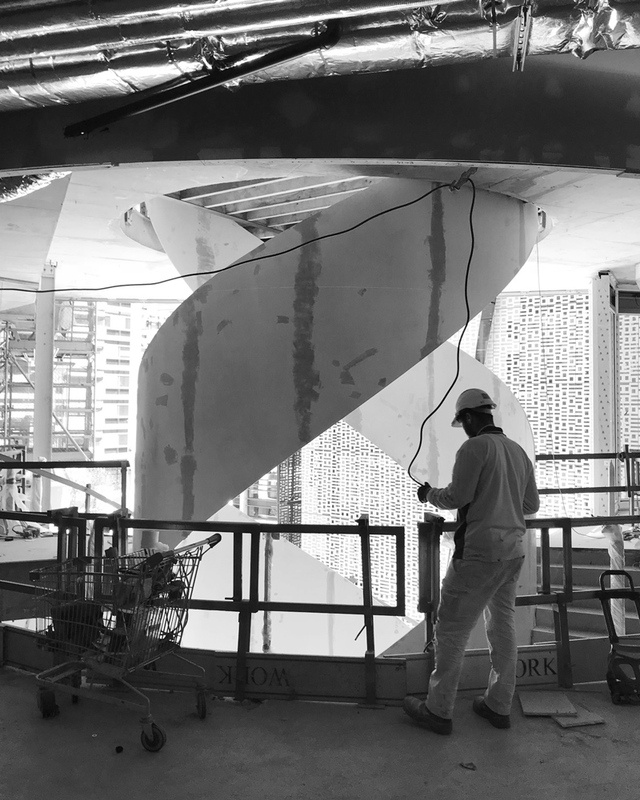 The lower levels consist of a dramatic podium, overlooking Broadway to the south and Alumni Green to the north. 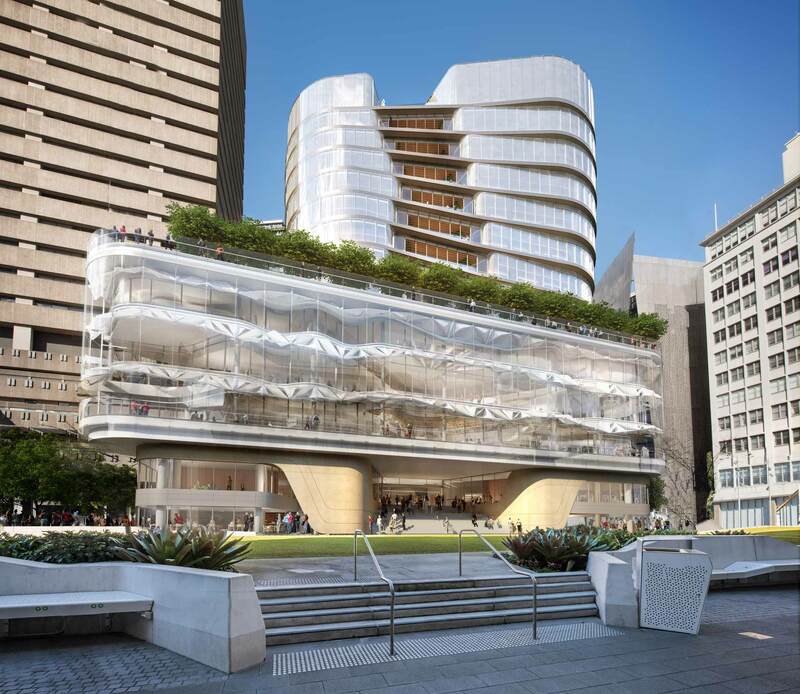 This will house the bulk of the social, student-focused areas, including a learning commons, the new UTS Library, scholarly reading room, collaborative classrooms, general teaching spaces and a Student Services hub. 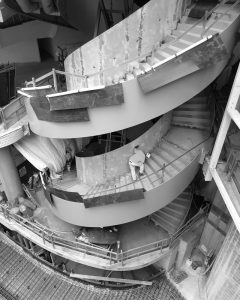 Meanwhile, the upper levels take the form of a tower that twists and rotates as it climbs, in response to the surrounding building and site geometries. 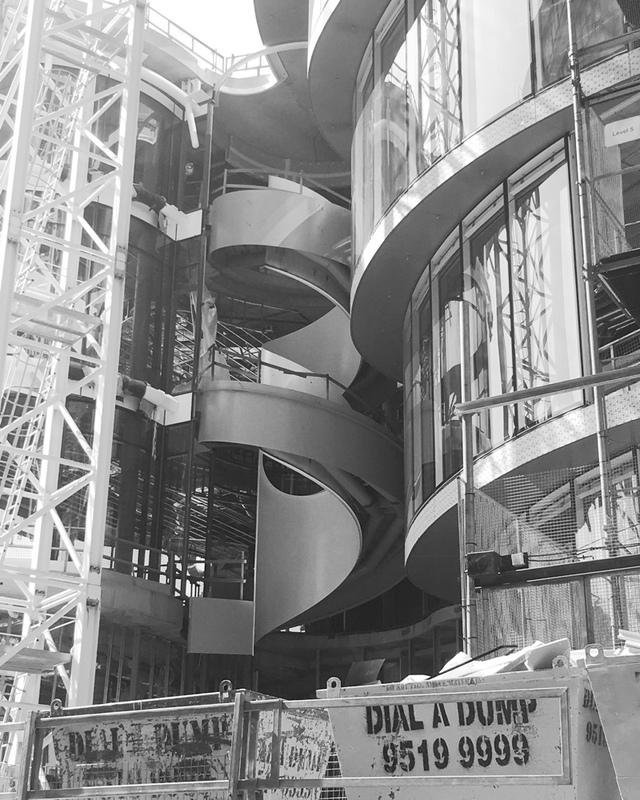 The new building represents a character that is uniquely UTS, and respects and responds to the urban context of the existing Campus infrastructure and the Broadway streetscape. The rotation and setback of Building 2’s form preserve the prominence and integrity of the adjacent UTS Tower, while the veil-like delicacy of Building 2’s façade serves as a juxtaposition to the existing Brutalist form. 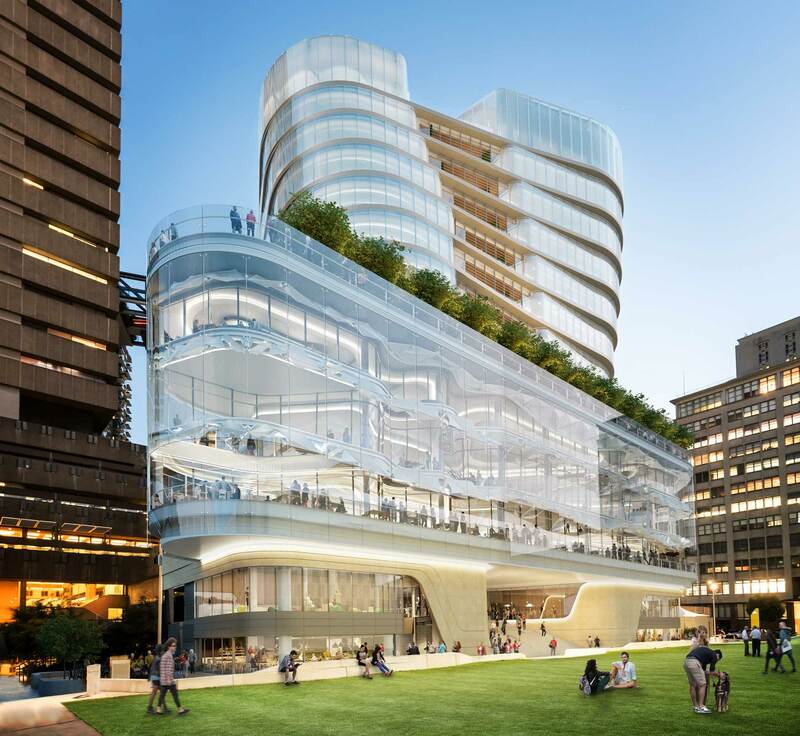 The new building represents a character that is uniquely UTS, and respects and responds to the urban context of the existing Campus infrastructure and the Broadway streetscape. 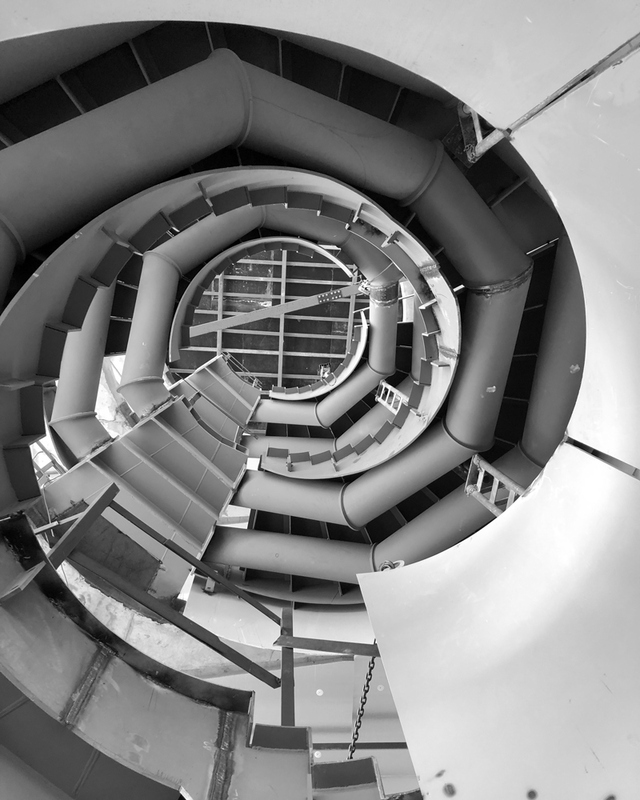 One of the features of UTS Central is the helix staircase. 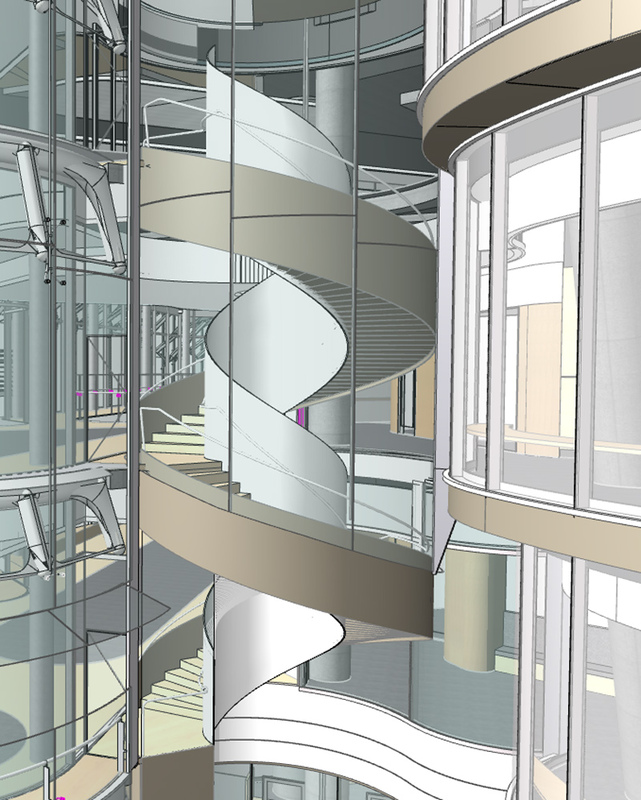 This spiral design will link the student floors, landing on opposite sides on level four and seven. 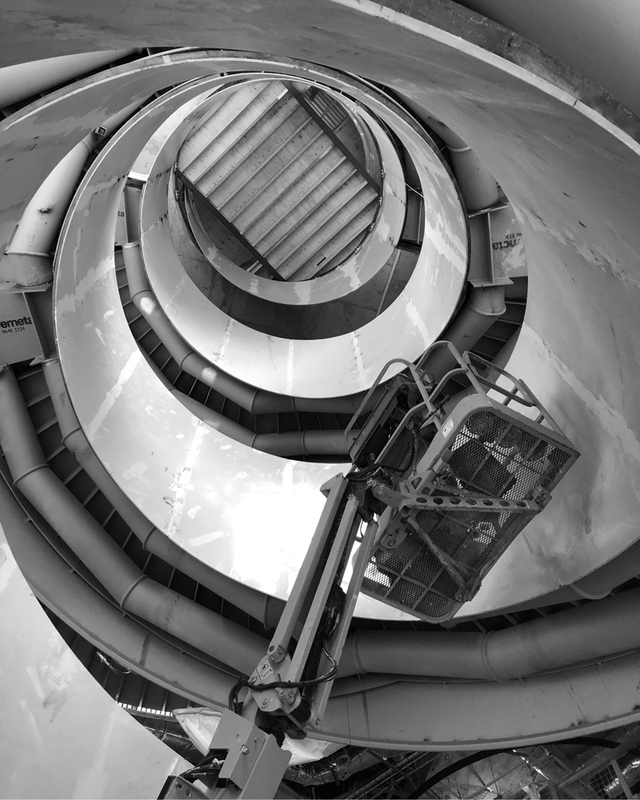 The helix staircase is a tribute to the DNA sequence and major breakthroughs in science and technology. Prefabricated off-site and installed by Active Metal.